With its iA subcompact sedan and iM compact hatchback launched, Scion is now starting to reap the benefits of its first mainstream new models in several years. 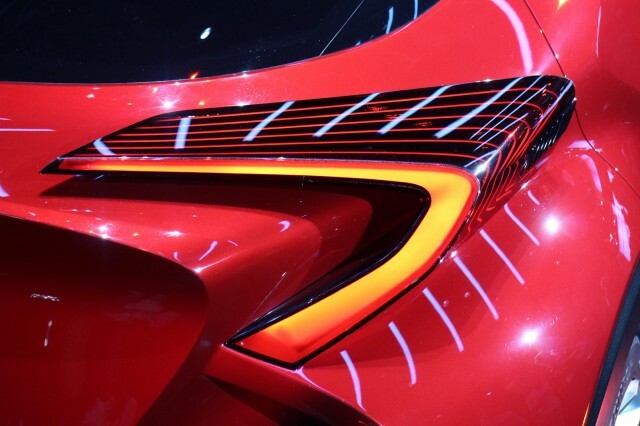 But there's a third model coming, the brand's first-ever crossover utility vehicle, and today at the Los Angeles Auto Show, Toyota's "youth brand" unveiled a concept for that vehicle. Painted a deep red, it's actually a concept that's been shown at three overseas auto shows: Paris, Frankfurt, and Tokyo. At that point, it was badged as a Toyota. The production version will be badged as a Scion in the U.S., however, though it's likely more than a year away from reaching showrooms. Scion vice president Andrew Gilleland spoke to Green Car Reports about the brand's evolving audience, with a target age of 35. A decade ago, Scion offered odd-looking "tall box" small cars and marketed them with images of edgy skateboarders and urban graffiti. Now, the imagery is of more mainstream (though still good-looking and multi-racial) young people with active lifestyles. And, according to Gilleland, the newer target buyers appreciate practicality, approve of Scion's connection of Toyota's legendary reputation for reliability, but still want a distinctive looking vehicle. "Polarizing is OK," these "young urban creatives" told Scion. "Boring is not." “Scion is known for doing things differently, and maybe even being a little weird,” said Scion Vice President Andrew Gilleland. “This C-HR Concept embraces that idea and wears it like a badge of honor." 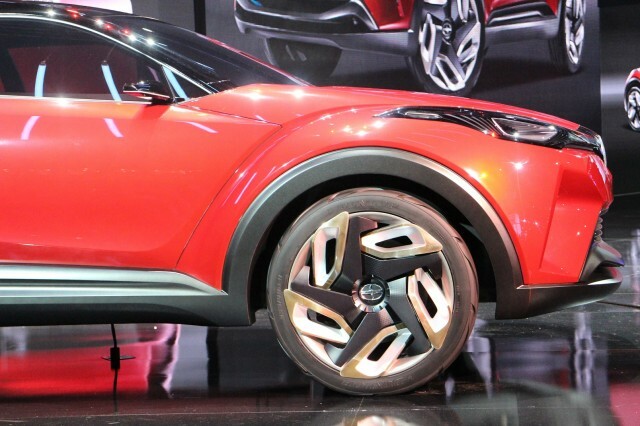 The C-HR concept is compact (the "C"), and has a high ride height (the "HR"). Its very large 21-inch wheels continue what Scion calls a "cut gem" theme in the body lines, and the chiseled cut-outs in their spokes are meant to evoke the car’s profile. Gilleland underscored that the concept is very close to the production version, which should make it one of the more distinctive small cars on the road. Scion is likely to stick with tried and true Toyota powertrains, however, and eschew its parent company's hybrid technology. 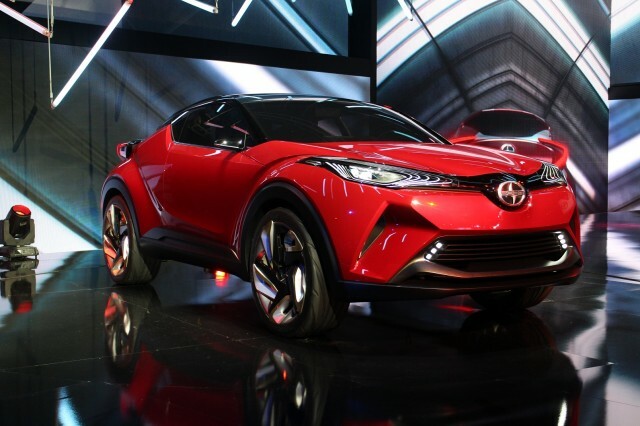 Like the new 2016 Prius, the production Scion C-HR will be built on the Toyota New Generation Architecture. Ideally, the lower center of gravity and increased body rigidity inherent to those underpinnings will endow it with more responsive handling and improved ride comfort. The production version of the Scion C-HR, however, isn't likely to appear in showrooms until 2017, though Scion says it will be revealed sometime next year. Meanwhile, Gilleland said, Scion is confident in its continuing difference to mainstream Toyotas--even as it evolves its products to meet the more practical needs of a new target audience. "Weird with a purpose," he said, "is actually cool."